Using newspapers for genealogy research is sometimes overlooked. Let’s face it – most of us are looking for those coveted primary sources and records, and newspapers are just ‘hearsay’, right? Well maybe, but newspapers can help us ‘hear’ our ancestors’ voices in a way a record won’t. And if we’re lucky, they will hold vital clues to help us find the records we need. 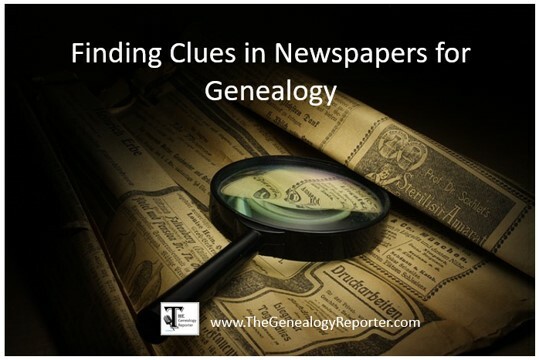 Obviously, the list is endless as to what you might find in researching newspapers for genealogy. You might be thinking obituaries and wedding announcements are the things to look for and you’d be right. But, it’s not the only thing. She was born in Delaware on July 16. Her father’s name was Levin Harmarson and he died when she was 3 years old. Her mother’s name was Mary Woodard. Her parents only had two children, herself and Sabra. She and Sabra married brothers. 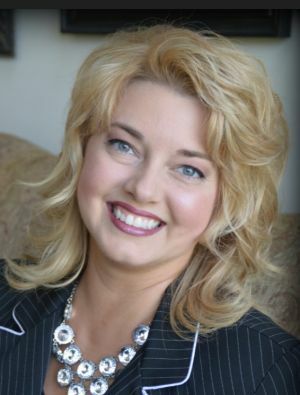 Four years after her father’s death, her mother married Levi Wall[s]. The family moved to (what is now) West Virginia, near Morgantown, after the marriage. They lived near Morgantown until she was 18 years old, then they moved to Pike County, Ohio. She had eleven children of her own. Not only did Susannah give the names of each of her children, but she noted whether they were living or dead, their spouses by name, and how many children each of them had. It was a gold mine of information! Another great example of a newspaper find was the interview of my second great-grandfather, John Bowser. He seemed to have given this interview as a paid advertisement for the great herbal remedy, Redex. He was born on a farm in Montgomery County, Ohio. He first came to the city of Springfield (Clark County, Ohio) in 1865. He came into possession of 80 acres adjoining the old Black Horse Tavern at the death of his father-in-law. He had five children, all were living, but his wife had died 20 years ago. He suffered from weakness, nervousness, and had had a stroke which caused some paralysis. Isn’t that interesting?! I just got some family medical information from the newspaper! First, let’s talk about free resources for newspapers. Chronicling America is the free website by the Library of Congress. Here, you can search America’s historic newspaper pages from 1789-1963 or use the U.S. Newspaper Directory to find information about American newspapers published between 1690-present. You might also take a look at what has been digitized and published at a local library website or the genealogical society of a given county or state. Just Google the name of your county and state and add the word ‘genealogy’. This should give you a listing of possible genealogical and historical websites dedicated to your targeted area. Also, check out this amazing list of free and subscription newspapers online created by Kenneth Marks. GenDisasters.com is an interesting website which has digitized old newspaper articles about disasters, accidents, and other catastrophes. It is another free resource. Do you already have a paid subscription to one of the ‘big three’ genealogy companies? Then you have access to thousands of digitized newspapers! 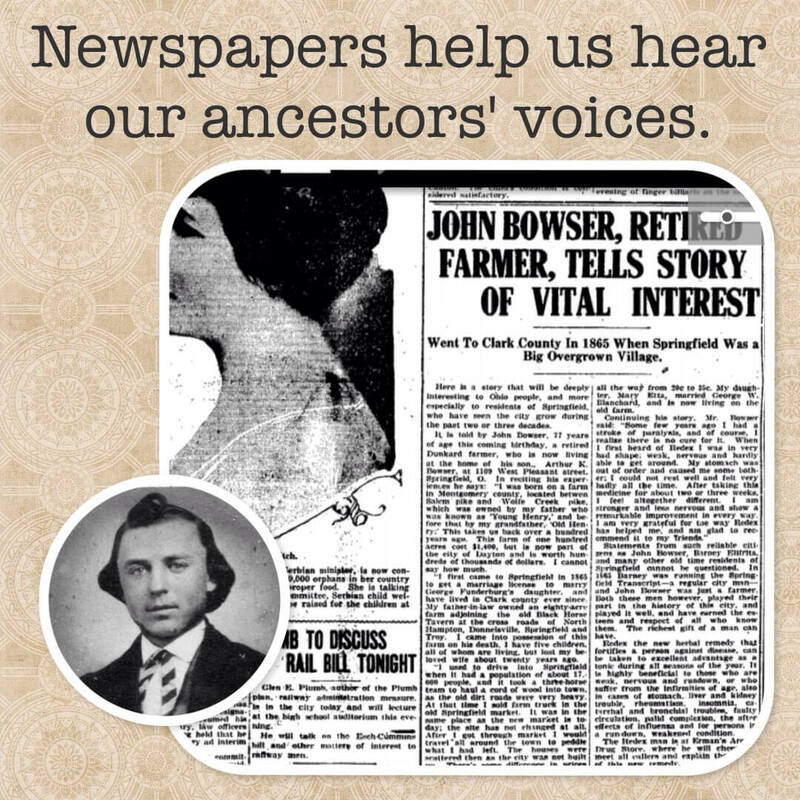 MyHeritage, Ancestry, and FindMyPast have digitized newspapers on their websites. Check to see which website has the newspaper collection that would be the best for your targeted area. In my case, I have found several Ohio newspapers I needed at MyHeritage. I have a subscription to Newspapers.com and I love it. Right now through 31 March, they have a big sale promotion going on for their Publisher Extra Subscription Level for $60.00 (for 6 months). Newspapers.com offers a more affordable subscription to their basic level, as well, for $44.95 (for 6 months). Newspaperarchive.com is another subscription website with digitized newspapers you may want to check out. Whatever websites you choose to use, always make researching newspapers for genealogy a part of your standard operating procedure! The Genealogy Reporter has entered into an affiliate relationship with the companies listed in this post. By clicking on the hyperlinks, The Genealogy Reporter may receive a commission at no additional cost to you.